1. Missha's Sun Milk, an SPF 50 sunscreen that protects your face from all those sun spots your mom warns you about. "Sunscreen!! It's never too early to start taking preventative steps. I love Missha's Sun Milk because it doesn't look shiny or leave a white cast on your face." 2. Dr. Perricone Blue Plasma, a no-rinse serum that gives your face that luminous skin you've been dreaming of. 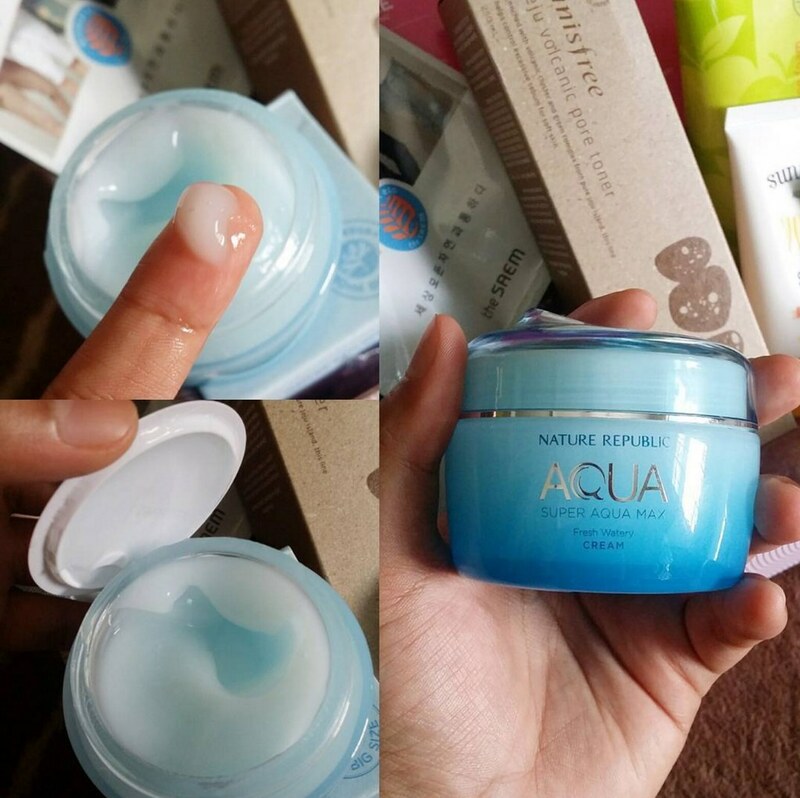 "It's like a mini face peel in a bottle. 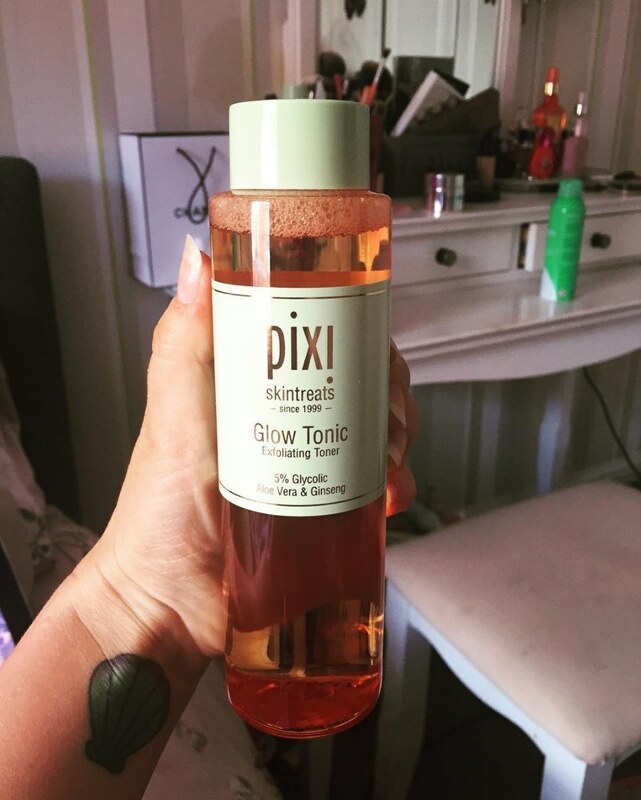 Totally brightens your skin overnight." 3. 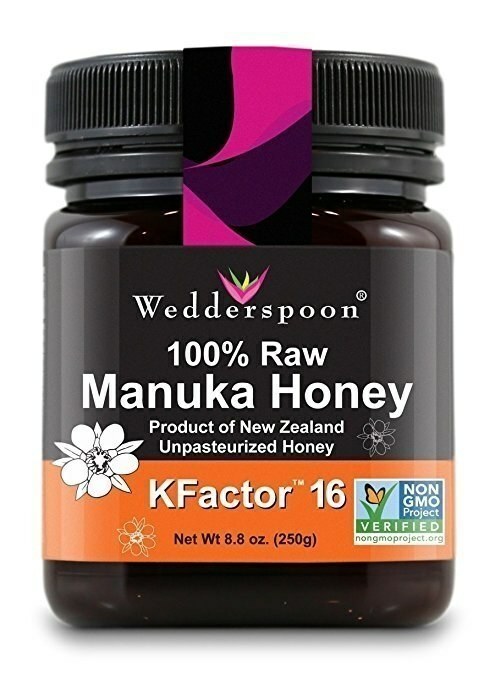 Manuka Honey, an edible mask for when you're hungry AND you want your skin to feel great. 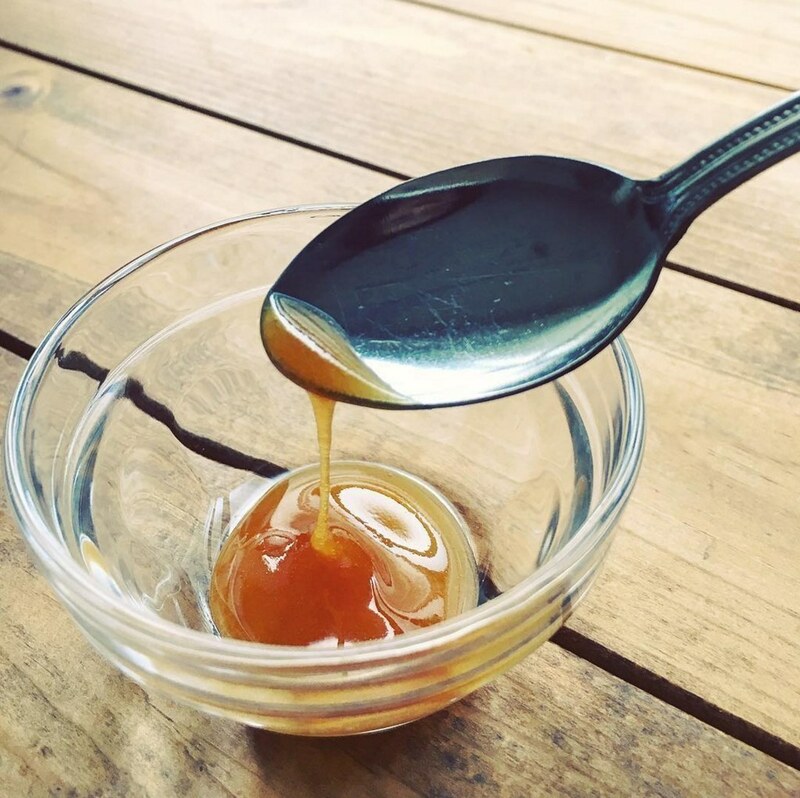 "I'm in my twenties now, and I slather it on straight from the jar several times a week. 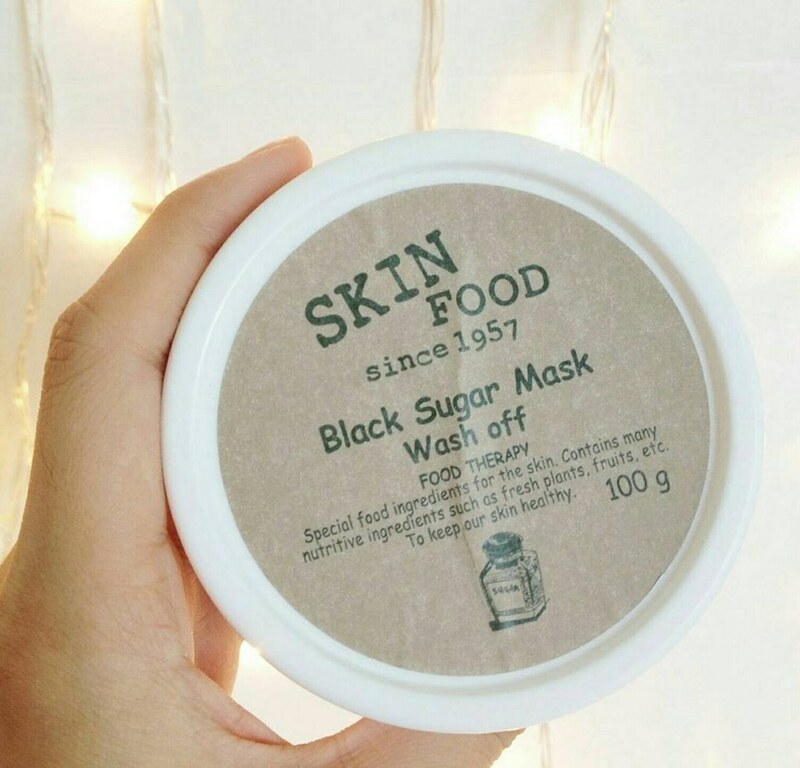 This is the best mask for my dry, sensitive skin. 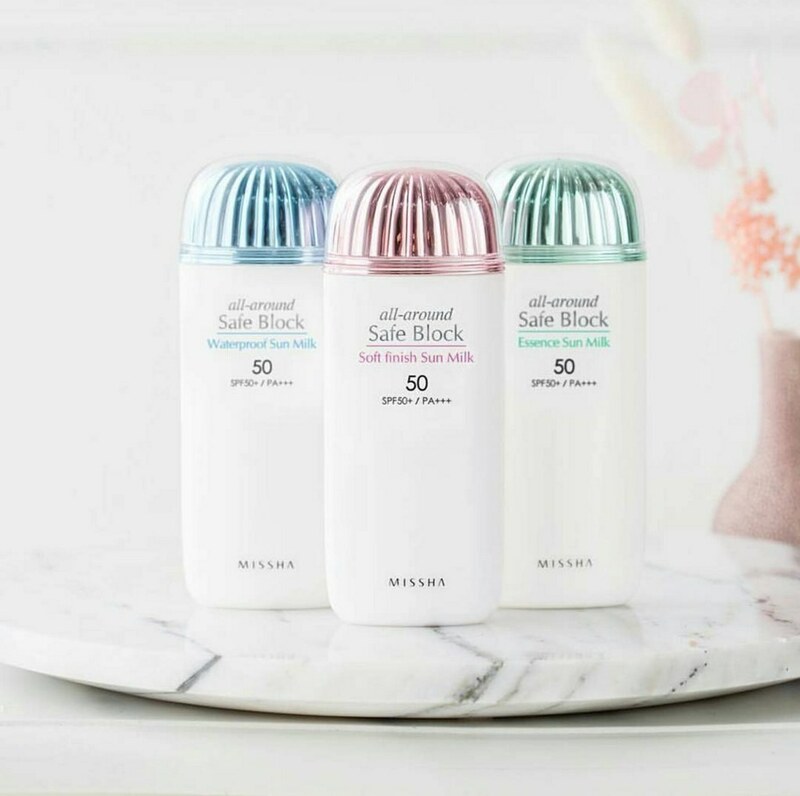 Awesome for keeping the skin hydrated and preventing/treating breakouts." 4. 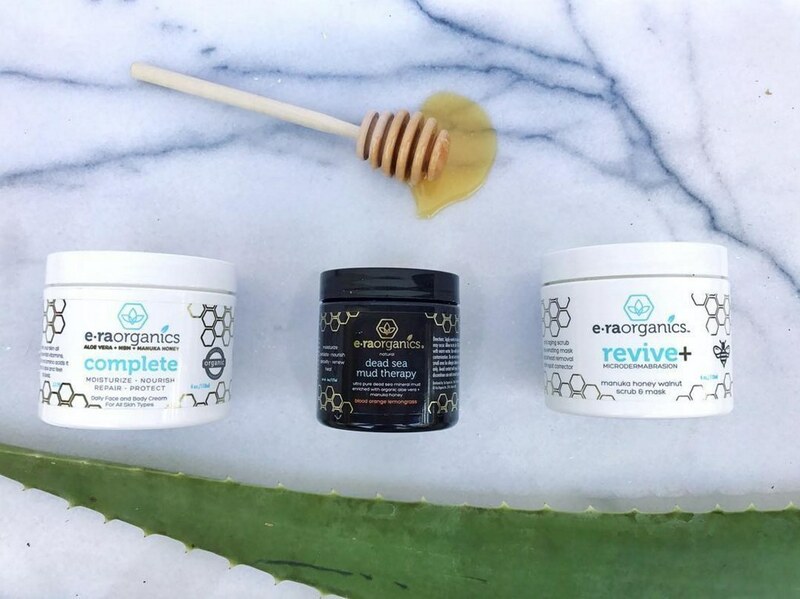 Egyptian Magic Skin Cream, an all-natural cream so you don't have to worry about any chemicals. "It's only got six ingredients in it, so it's super natural. I take a little bit, rub it in between my hands, and rub it all over my face before bed. I wake up with glowing, moisturized skin! It's amazing." 5. 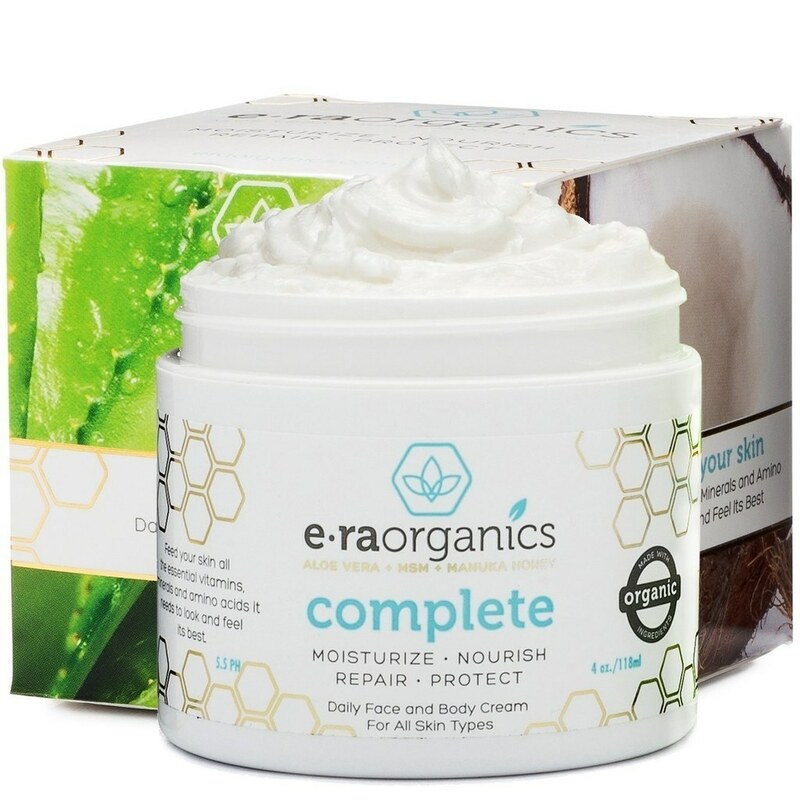 Era Organics Natural Face Moisturizer Cream, a 10-in-1 formula that's begging to hydrate your skin. "I used to moisturize with the Kiehl's Ultra Facial Cream, but I found that it made me oily during the summer. This one almost has a matte, pore-filling effect while still delivering great ingredients to my sensitive skin. It's also cheaper, so it's a win-win!" 6. 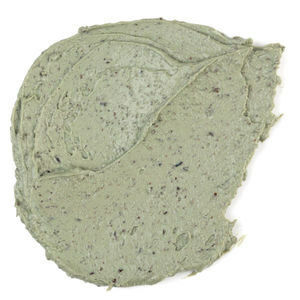 Lush's Mask of Magnaminty, a minty mask that rids your pores of pesky debris. 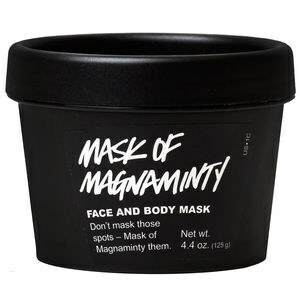 "Lush's Dark Angels in conjunction with its Mask of Magnaminty seriously cleans out your pores, so expect a purge and then the smoothest skin ever." 7. 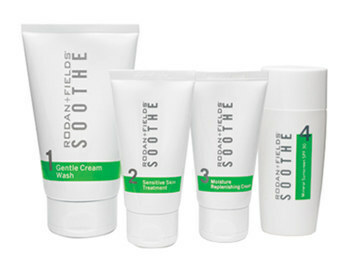 Rodan + Fields Soothe Regimen for Sensitive Skin, a four-piece kit treatment that says goodbye to redness and hello to an even-toned complexion. "I have never had skin that people envied. People tell me that I have beautiful, porcelain skin!" Get if from Rodan + Fields for $170. 8. 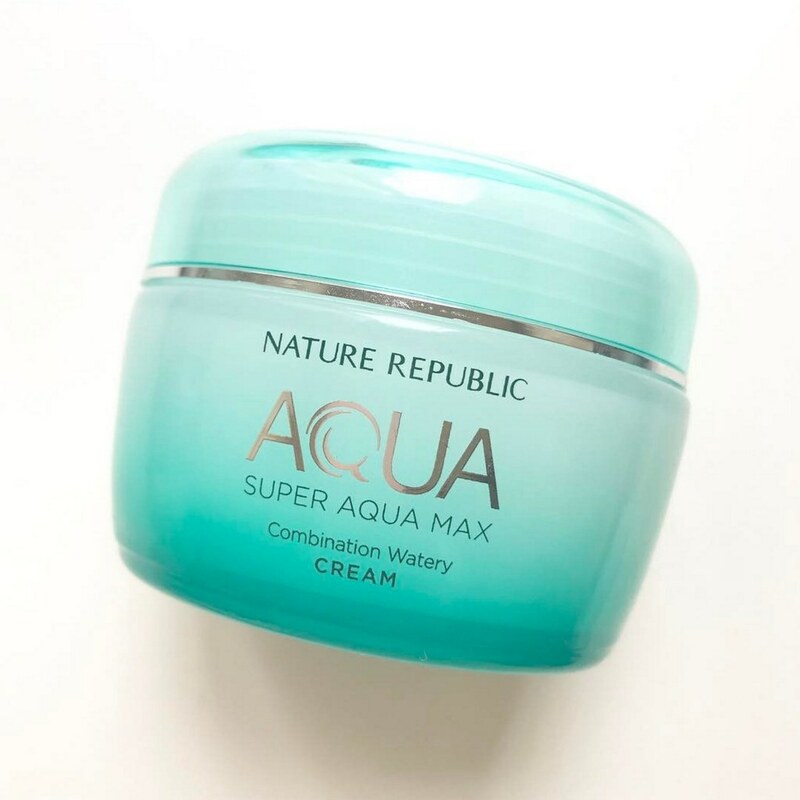 Nature Republic Super Aqua Max, a moisturizing cream that locks in all of that moisture your skin desperately needs. "I feel naked without this face cream! I got this as a gift three years ago and have always bought it since then. It hydrates my skin where it needs it." 9. 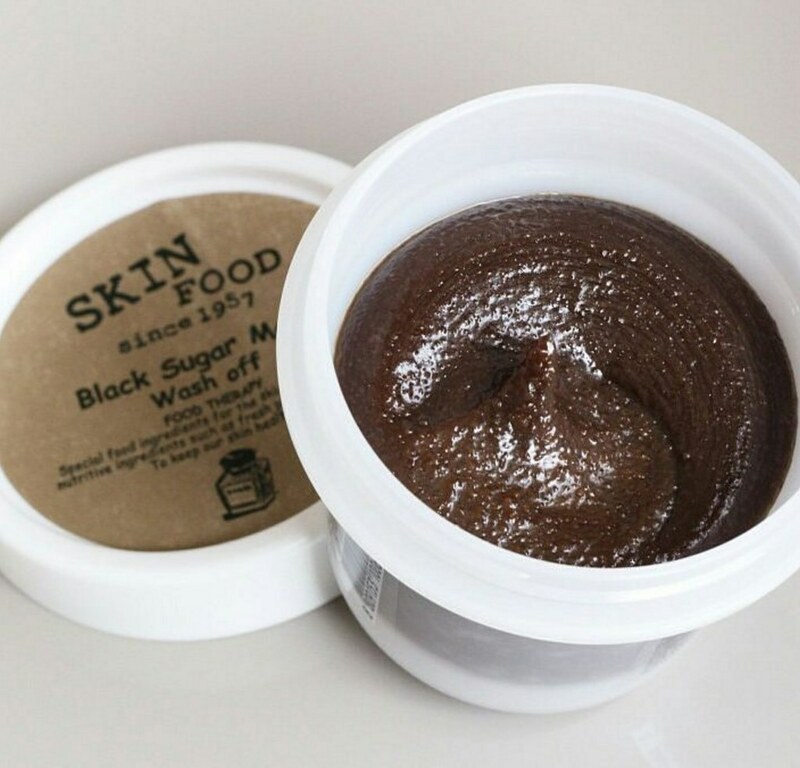 SkinFood Black Sugar Mask, a wash-off exfoliator that uses sugar granules to eliminate those darn blackheads. "It's an exfoliator/leave-on mask that targets all the dead skin on your face. Plus, it contains moisturizing properties that will leave your skin feeling soft and healthy after rinsing off. 10. 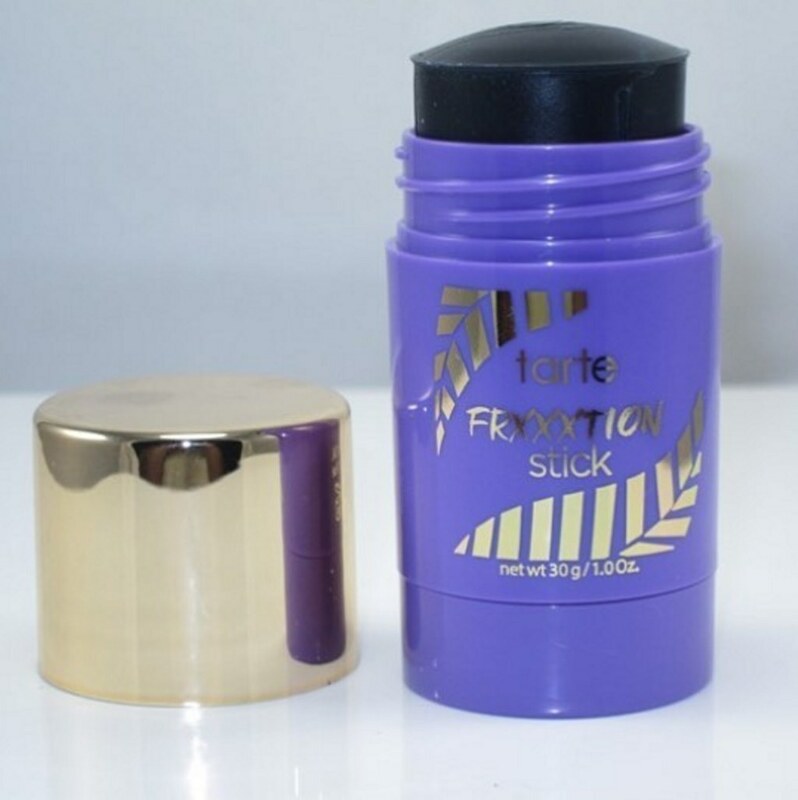 Tarte Cosmetics Frxxxtion Exfoliating Stick, a 3-in-1 facial cleansing stick that uses fossilized sea algae to purify your pores and leave you glowing. "I have combination skin as well as rosacea, and still get pimples along my jawline. It's a lot to deal with. I started out with a sample of the Frxxxtion stick, and it worked so well that I bought the full-size product. It's gentle enough for daily use (even with rosacea), and has achieved some serious progress in warding off my blemishes. But my favorite part is that my skin is the softest and smoothest it's ever been. I will go out of my way to keep this product on hand. 11. 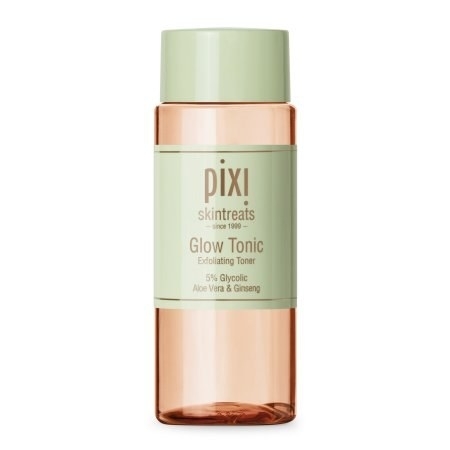 Pixi Glow Tonic, an aloe vera and ginseng formula for glowing skin no matter the time of year. 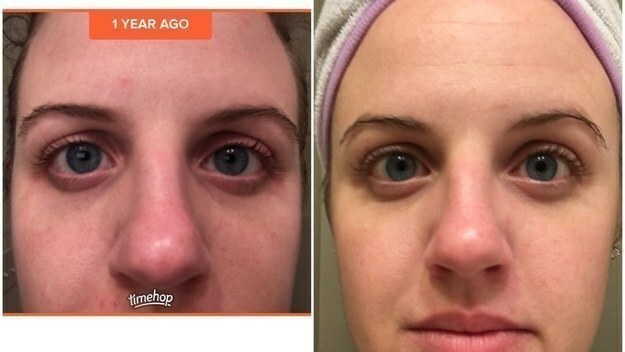 "It made my skin incredible. People actually say, 'Wow, your skin is glowing,' followed by, 'Are you pregnant?' NAH, JUST THIS BOMB GLOW TONIC. GIRL, GETCHU SOME!" Get it from Walmart for $14.40. 12. SAL3 Salicylic Acid Sulfur Soap Bar, a cleanser that may erase your breakouts once and for all. "It just looks like a bar of soap, but sulphur is the magic ingredient! My dermatologist told me to try it, and I legit don't get breakouts anymore. This stuff is amazing." 13. 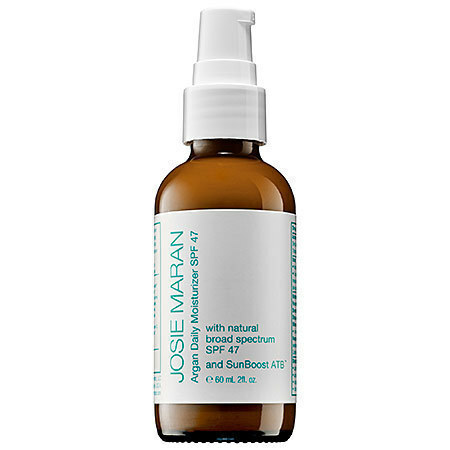 Josie Maran Argan Daily Moisturizer SPF 47, a preventative moisturizer that leaves your skin feeling soft and supple. "It's so light, but makes my skin feel SO soft. I love that it has sunscreen in it so I have one fewer step in the morning." 14. Philosophy Help Me Retinol Night Treatment, a perfect night cream for any blackheads or large pores. 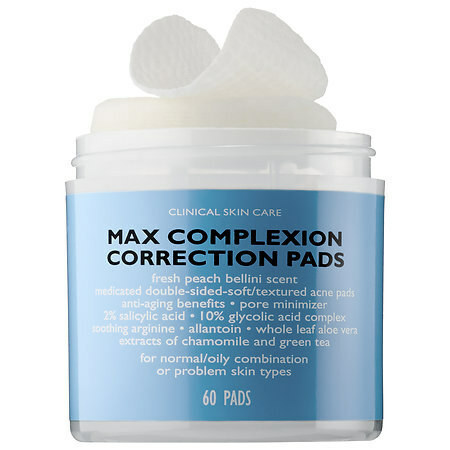 "I had rather large pores and a serious blackhead problem in my twenties, so this was a must." Get it from Amazon for $33.39. 15. 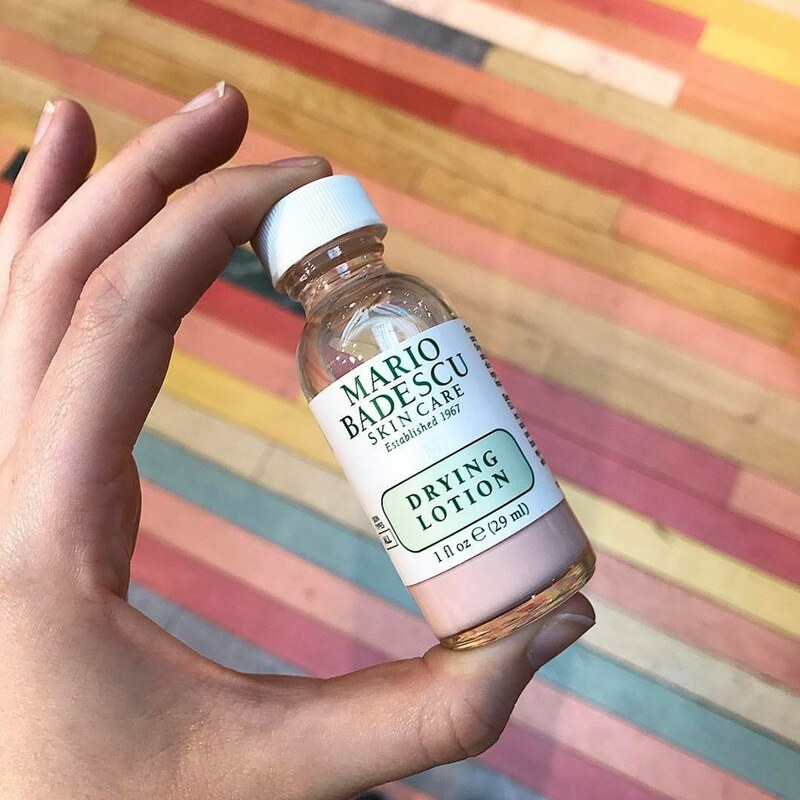 Mario Badescu Drying Lotion, a lotion that might just be your magic fix for a breakout of any kind. 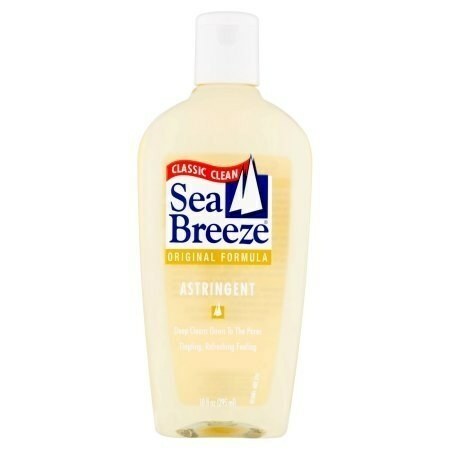 "Whenever I get pesky breakouts, I use this drying lotion. It makes the breakouts disappear." 16. 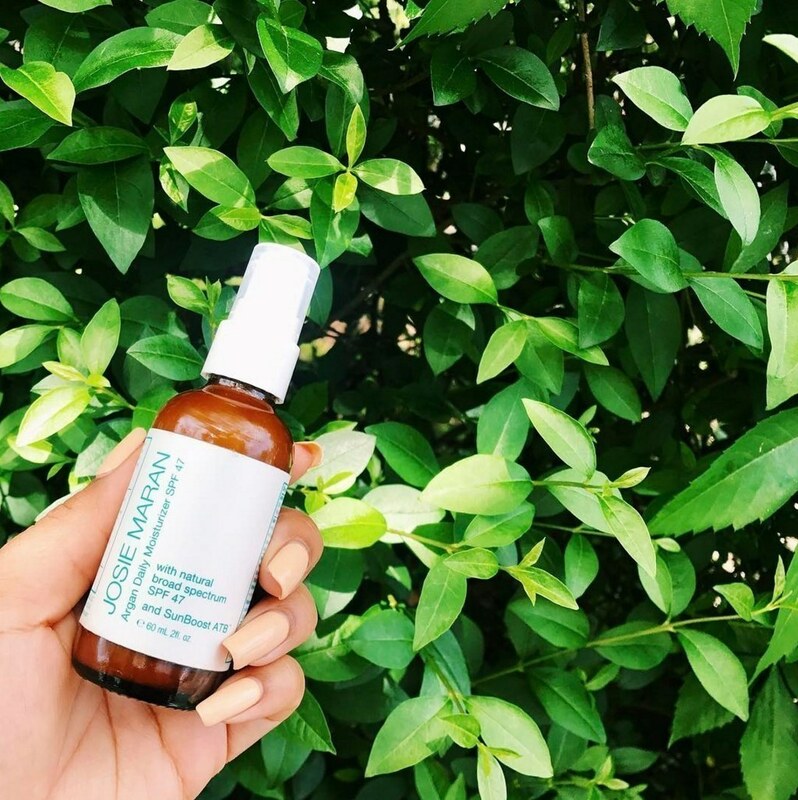 RMS Organic Beauty Oil, an oil that will give you radiant skin and some much-needed antioxidant protection. 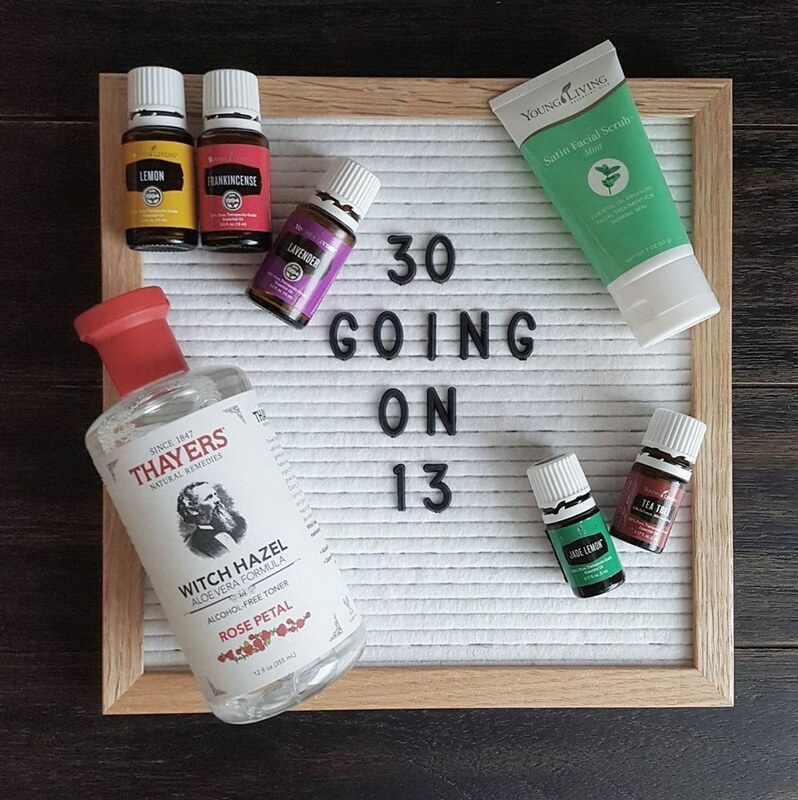 "This oil is AMAZING! I use it day and night as a moisturizer. A little pricey, but a little goes a long way." Get it from RMS Beauty for $78. 17. 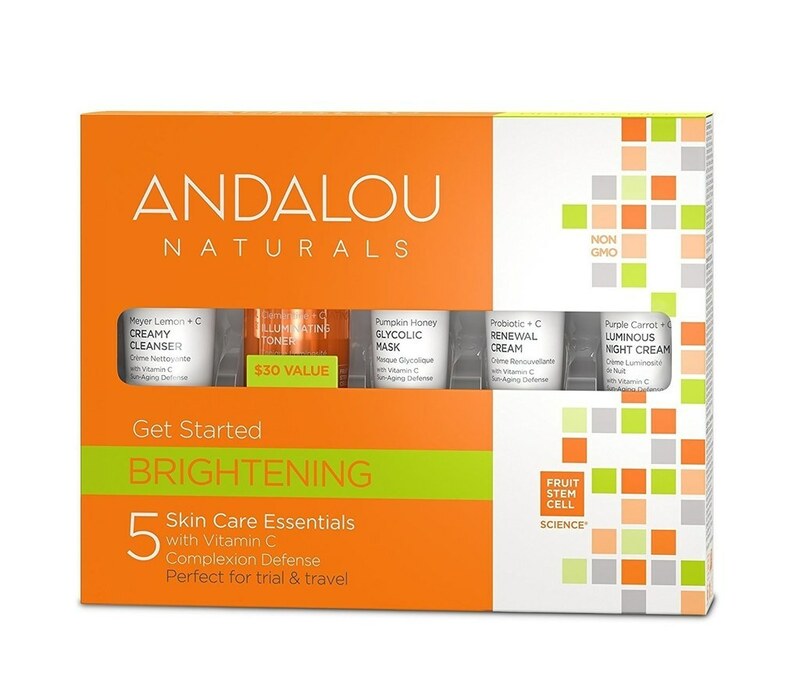 Andalou Naturals Brightening Kit, a fountain-of-youth treatment for bright, younger-looking skin. 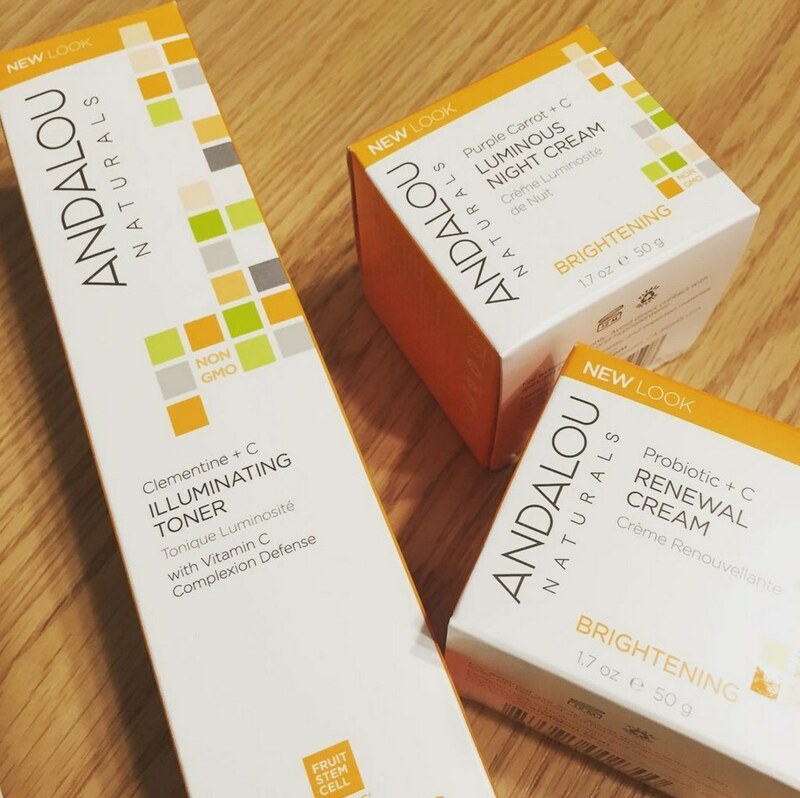 "Andalou Naturals is my go-to skin care. There are several lines for your specific skin care needs, but I use the brightening and rose lines. 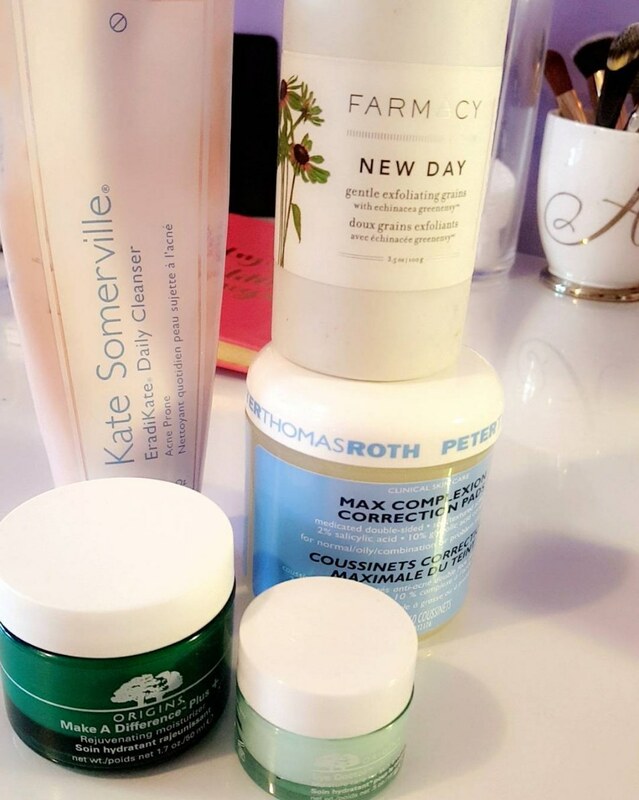 I love that I found something good for my skin without breaking the bank!" 18. 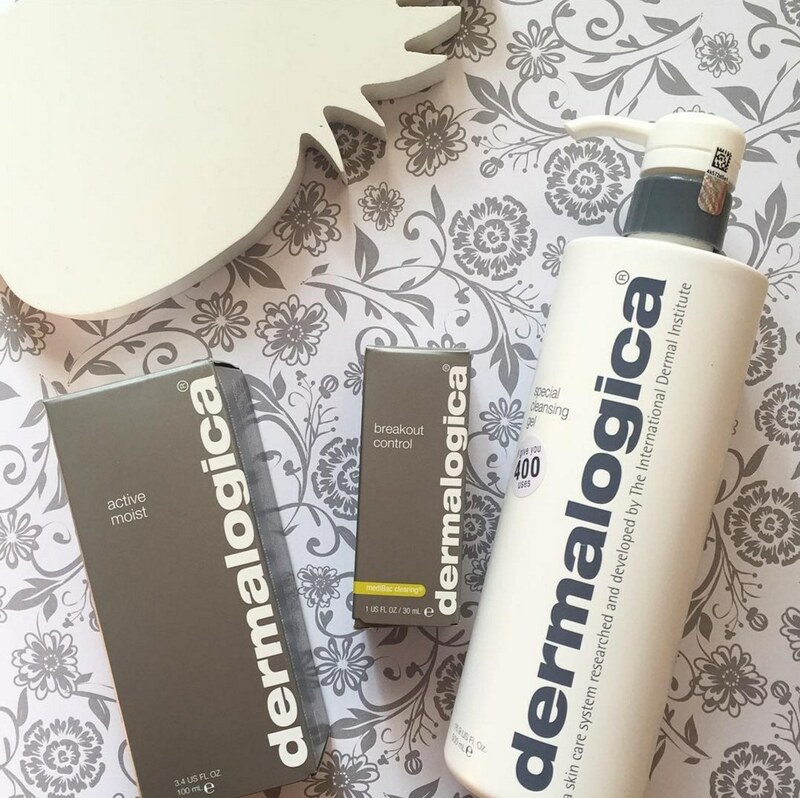 Dermalogica Active Moist, a moisturizer you've been waiting for that combats oil and dryness all in one. "It works wonders on my skin. I have a really oily T-zone, but a very, very dry forehead and cheeks. 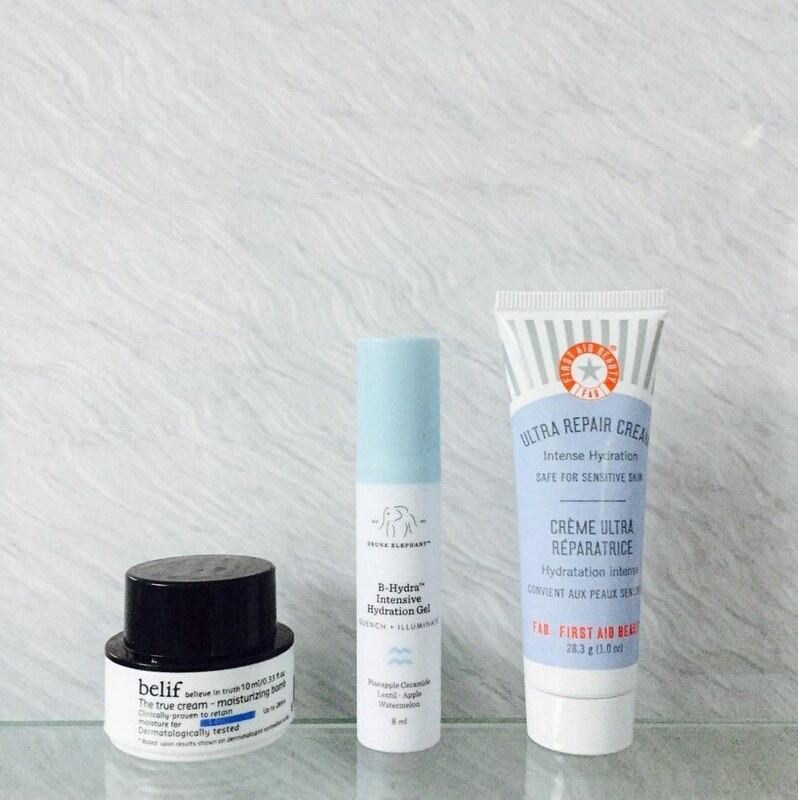 This moisturizer works to keep everything in check. My skin has never felt better." Get it from Ulta for $40. 19. 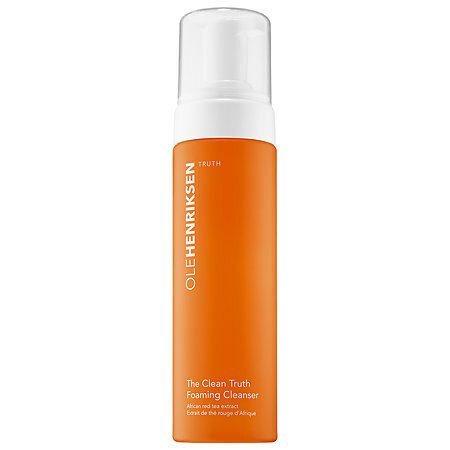 Ole Henriksen The Clean Truth Foaming Facial Cleanser , a cleanser that may prevent breakouts for YEARS AT A TIME. "I haven't had a breakout in years." 20. 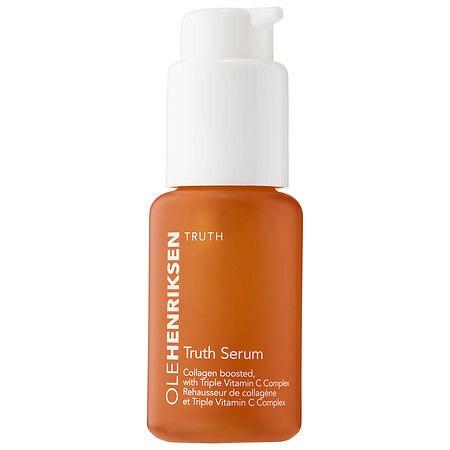 Ole Henriksen Truth Serum, a vitamin C–infused product that will make your skin glow. 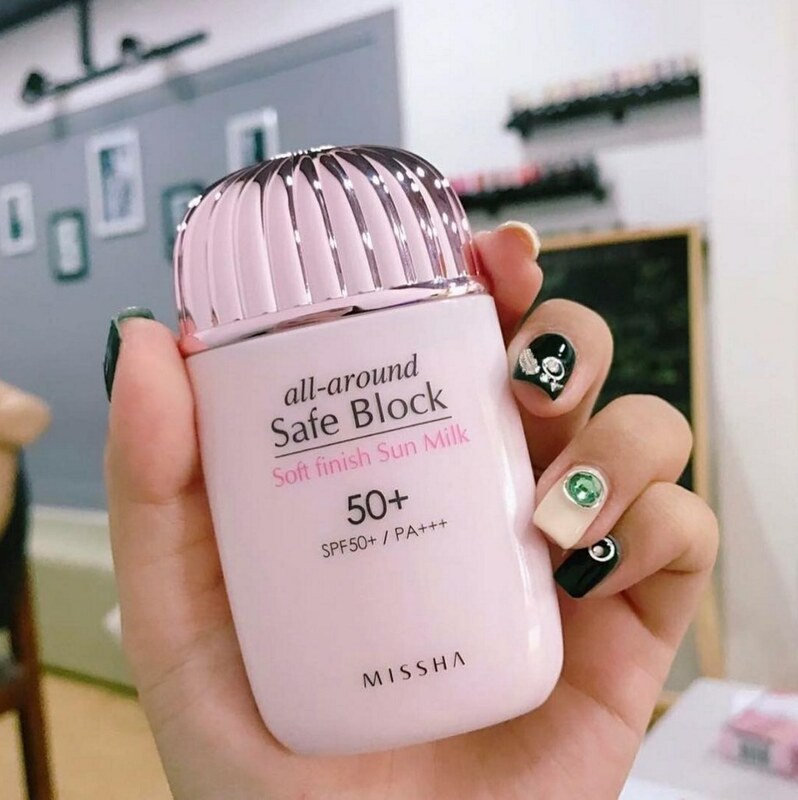 "I literally cannot live without this serum. The vitamin C makes my skin glow." 21. 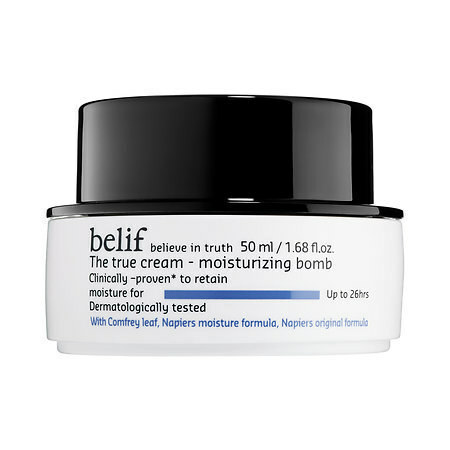 Belif the True Cream Moisturizing Bomb, a comforting cream that hydrates and nourishes your skin. 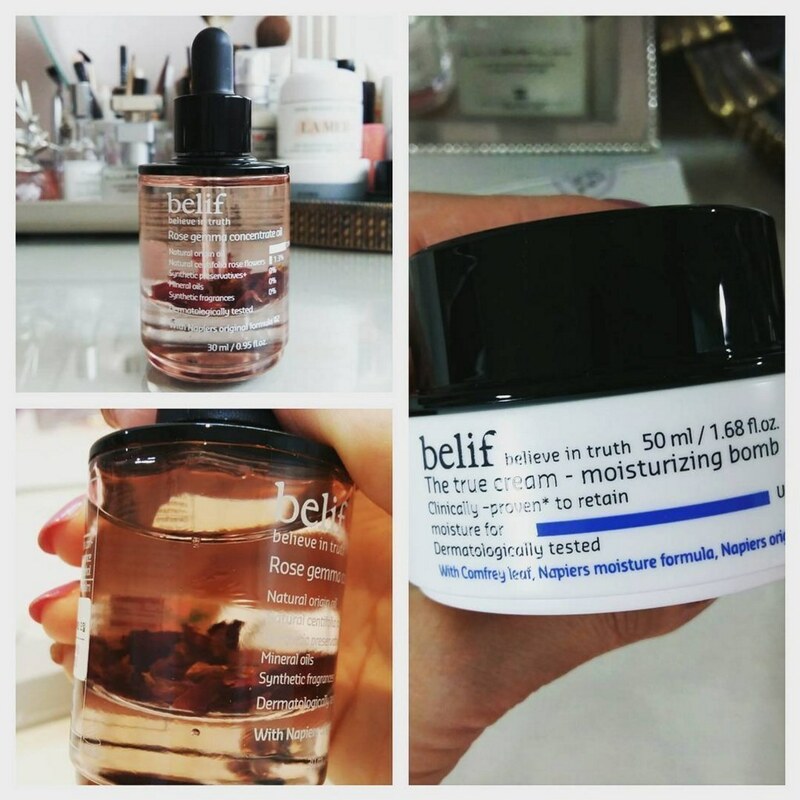 "Belif Moisturizing Bomb has literally saved my life. Once I exfoliate and go through the rest of my skincare, the moisturizing bomb literally seals in all the moisture. 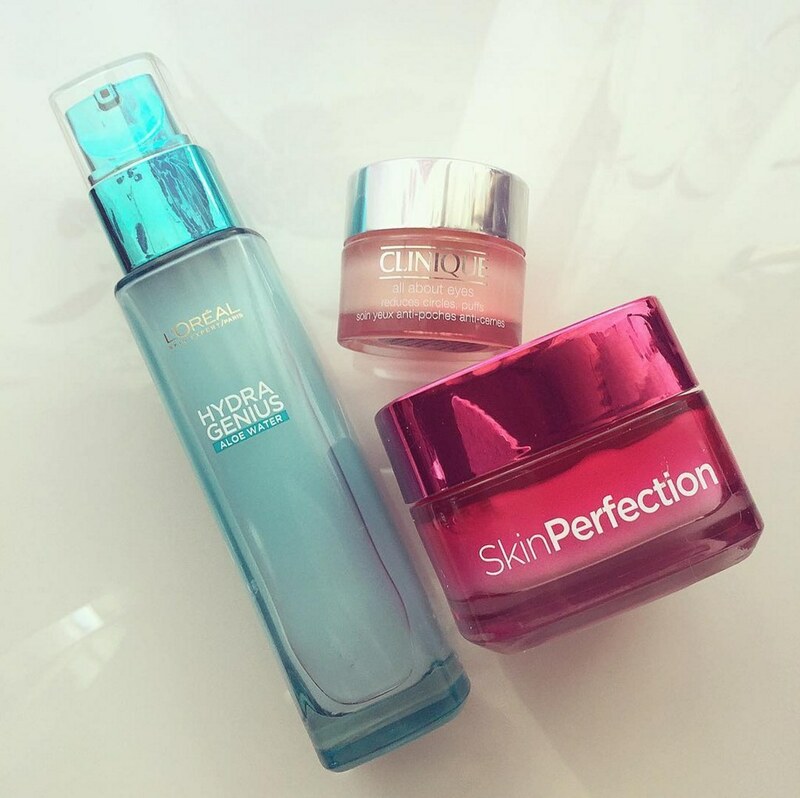 My skin feels super soft the rest of the day." Get it on Sephora for $38. 22. 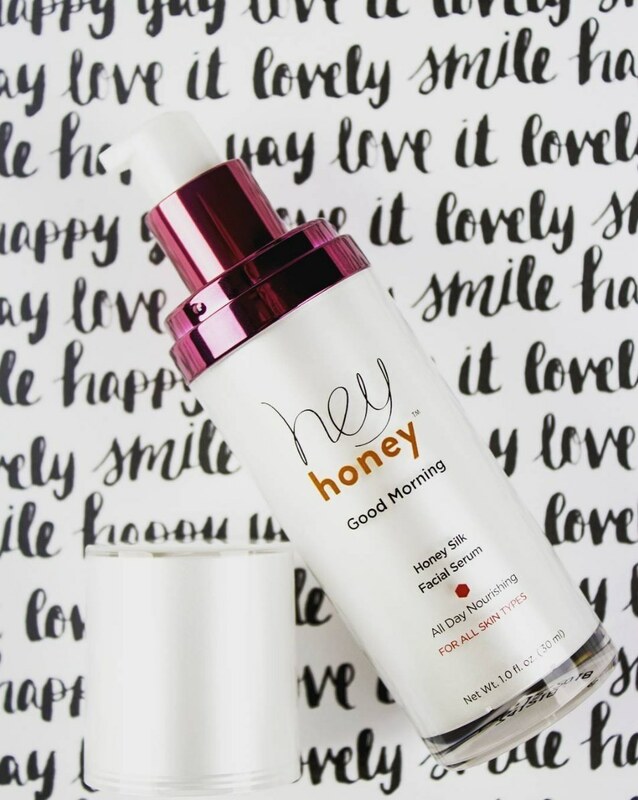 Hey Honey Good Morning Honey Silk Facial Serum, a seriously light formula that's great for replenishing your skin and using as a makeup primer. 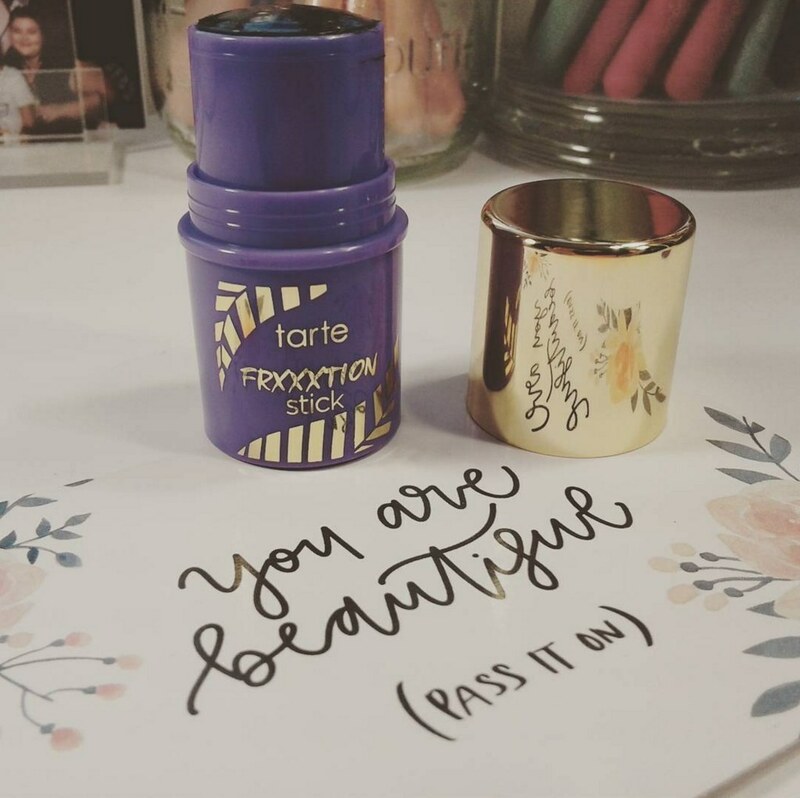 "I got a tester in an Ipsy package and never used anything else afterwards. It's lightweight, refreshing, and has a really subtle scent. It leaves the skin moisturized without feeling oily, and you only need a pea-sized amount for your whole face. Totally fixed the cracking, flaking skin around my mouth in the winter, but it's still light enough for summer." Get it on Ulta for $45. 23. 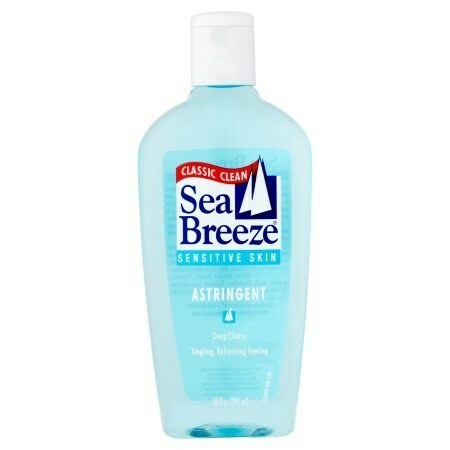 Sea Breeze Cleaning Astringent, an astringent that doesn't mess around with its formula or price. 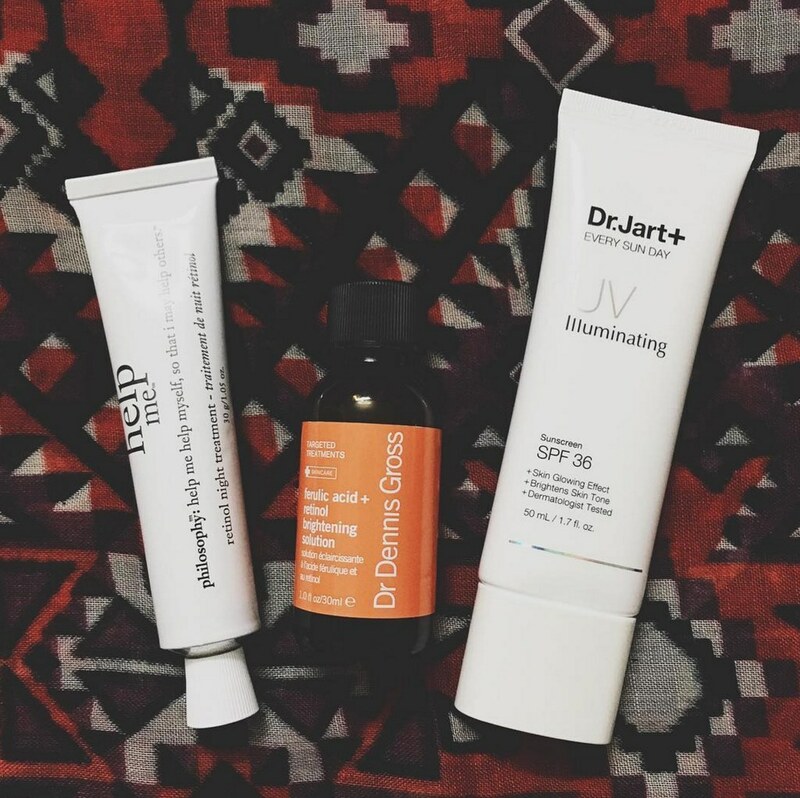 "This has literally been a life-changer for my skin care routine. It doesn't cost an arm and a leg, either." Get it on Walmart for $3.97. 24. Cetaphil Moisturizing Cream, a hydrating cream that was basically made for people with seriously dry skin. 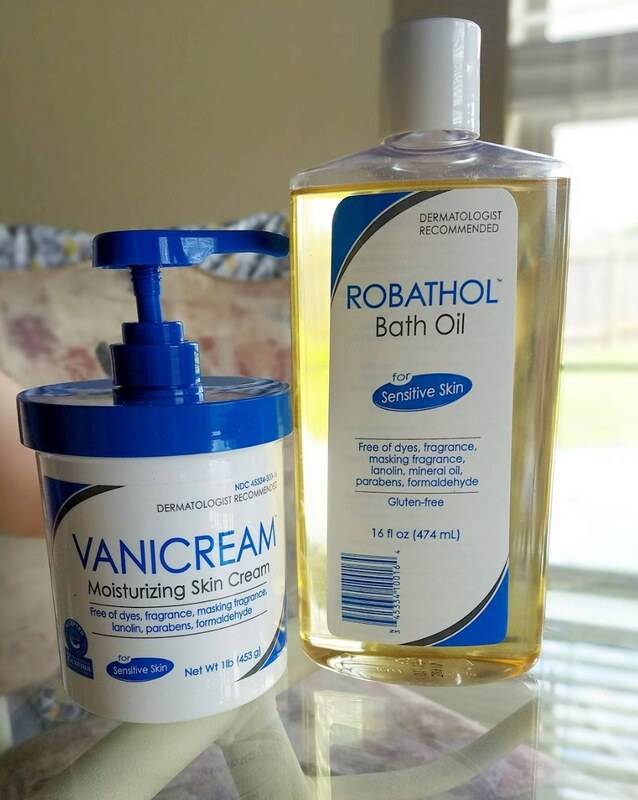 "My dermatologist recommended it to me a few years back, and now I will never go back to using anything else. It makes your skin feel fresh and clean without sticky. And, you can get it almost anywhere." Get it on Amazon for $9.81. 25. Ponds Moisture Clean Towelettes, a wipe that is perfect for that on-the-go kind of life. "I've found that acne products dry out my skin, which causes my skin to produce double the oil to make up for the dryness, which equals more pimples. So now at night I just use one or two wipes instead of washing my face." Get a pack of 4 on Amazon for $16.29. 26. 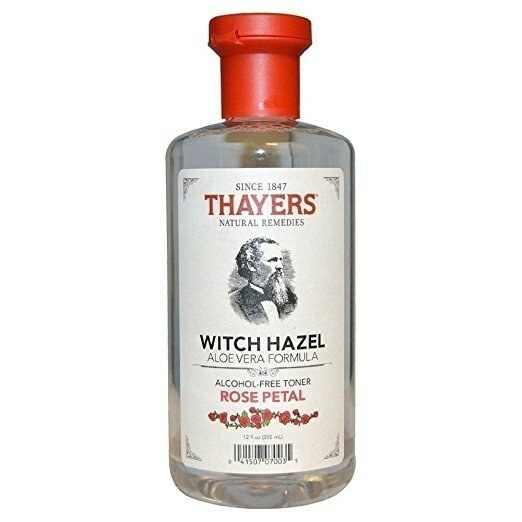 Thayers Rose Petal Witch Hazel, an aloe vera formula that is beautifully simple and effective. "This is a literal bottle of magic. I suffered from cystic and whitehead acne and this stuff cleared it all up in three weeks, all while making my skin feel incredibly soft. Pro tip: Put it in a travel-sized spray bottle to make it last longer!" Get a pack of two on Amazon for $16.20. 27. 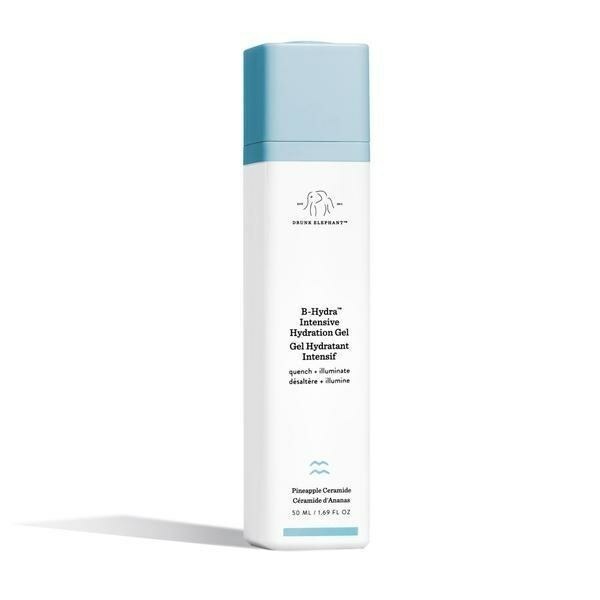 Drunk Elephant B-Hydra Intensive Hydration Gel, a gel that's pretty much as refreshing as a glass if cold water. 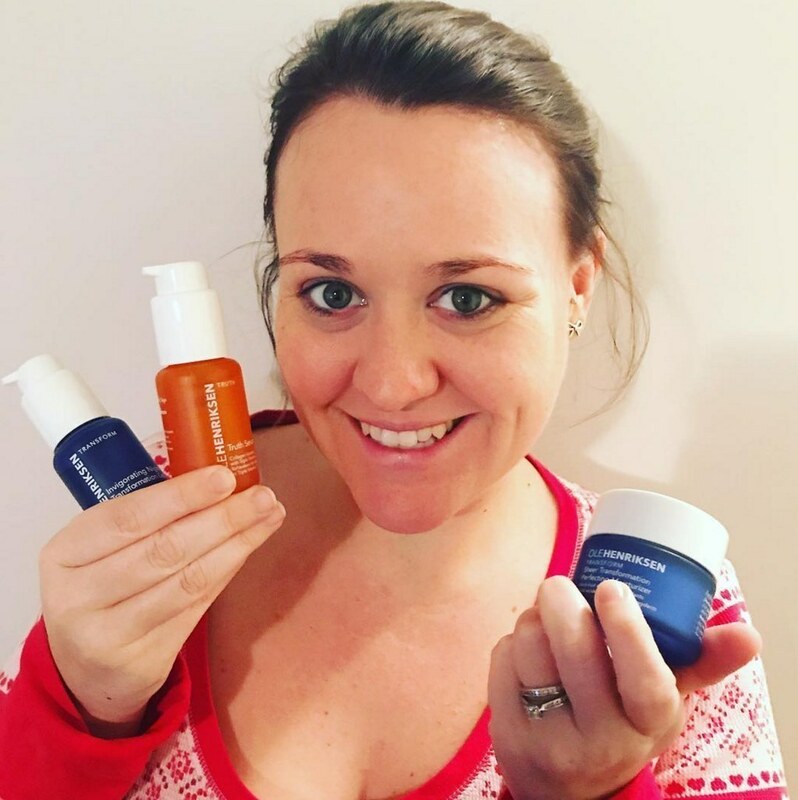 "Drunk Elephant has amaaaaaazing products. It fixed my chronic dryness, my skin is well-balanced, there are no acne scars, and I hardly get pimples." 28. 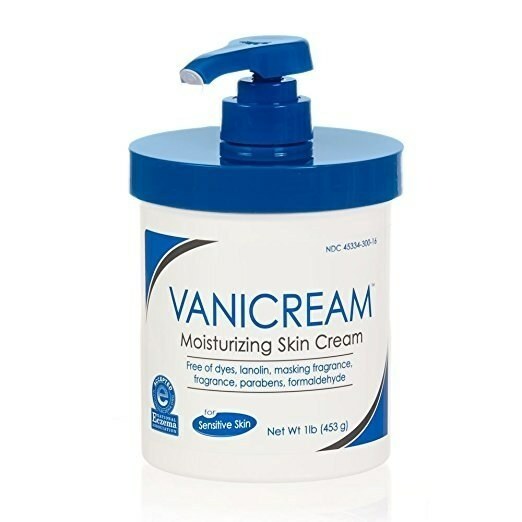 Vanicream Moisturizing Cream, a tried-and-true skin cream that will become your go-to moisturizing lotion. "I'm obsessed. I use it as a night cream and body lotion after a shower." Get it on Amazon for $12.72. 29. 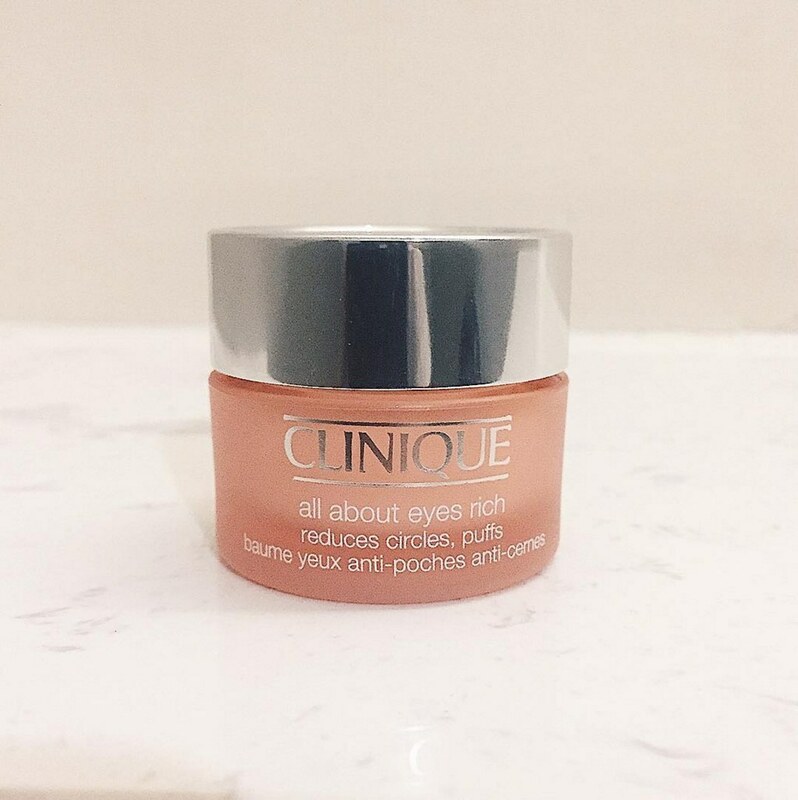 Clinique All About Eyes, a cream that 100% knows how to get rid of those puffs and under-eye circles. "I started using this when I was 24. I'm 36 now, and the skin around my eyes hasn't started to show age at all." Get it on Amazon for $28.55. 30. 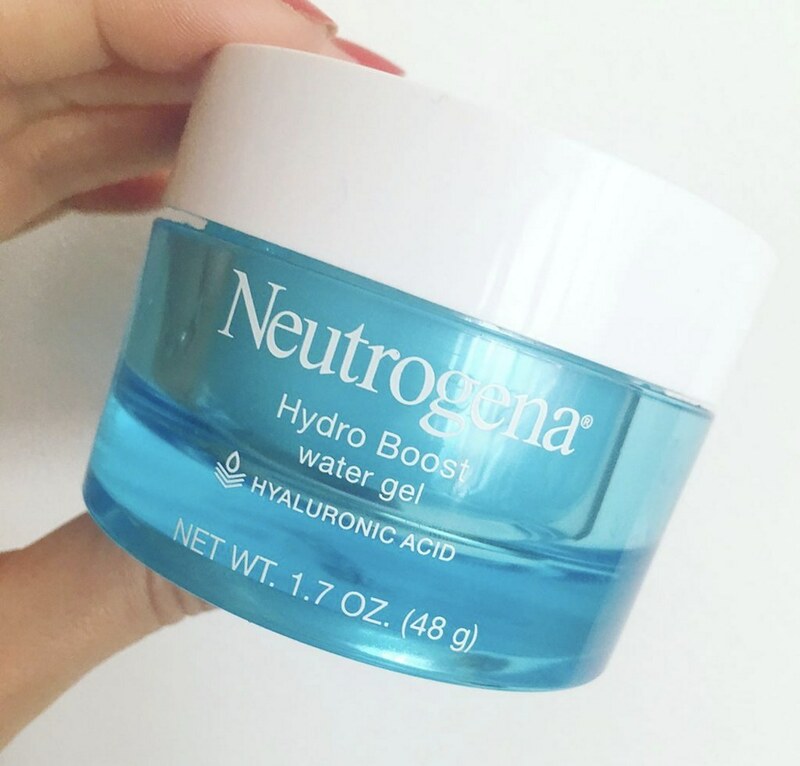 Neutrogena Hydro Boost Water Gel, a formula that quenches dry skin so you're smooth to the touch. 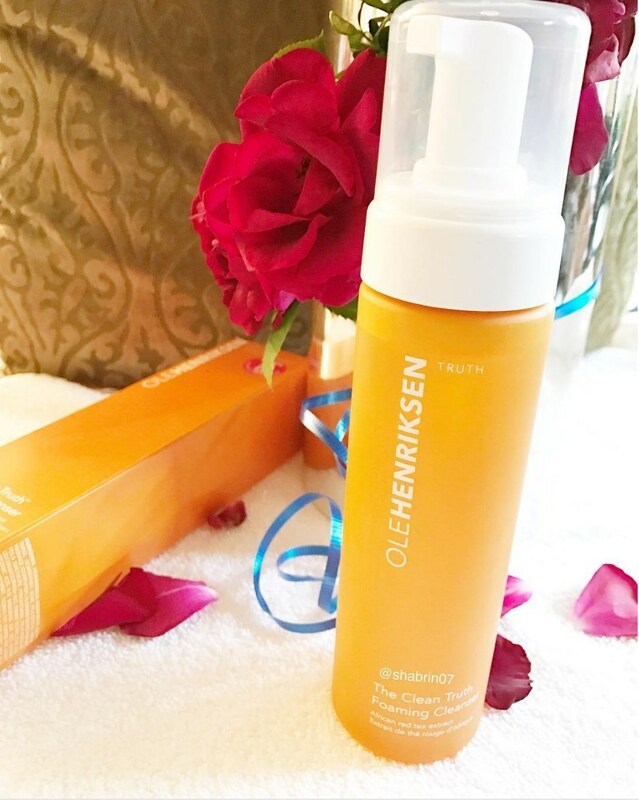 "It is so lightweight and hydrating, and it absorbs into your skin in seconds. 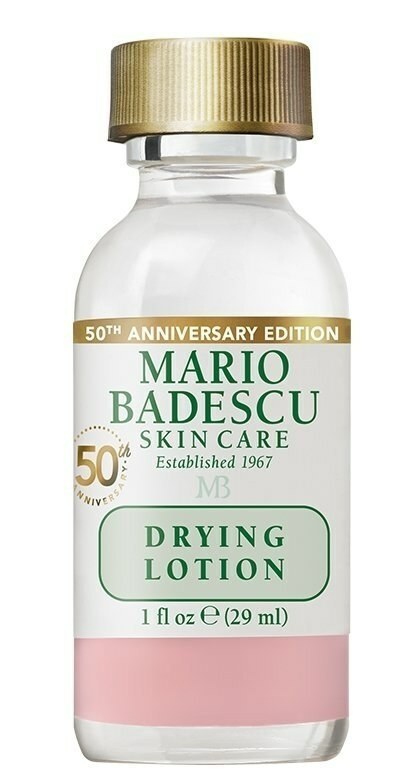 It makes my skin so soft and I haven't had a single bit of dry skin in two years since I've started using this! I have very oily and acne-prone skin and this is very soothing and doesn't make me break out. 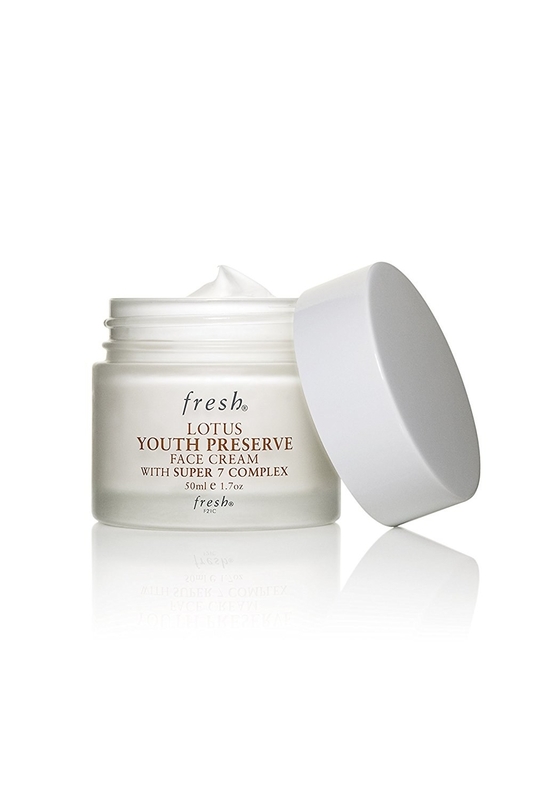 It hydrates without clogging pores or creating more oil. And it smells so fresh and clean, but it doesn't have an overwhelming fragrance! I highly recommend this to everyone and anyone!" 31. 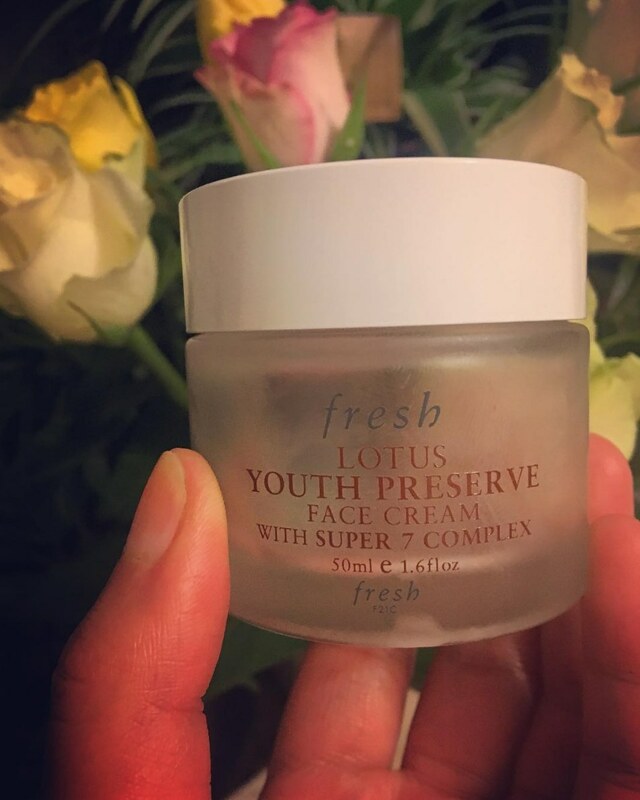 Fresh Lotus Youth Preserve Face Cream, a daily moisturizer that makes you look younger by the second. 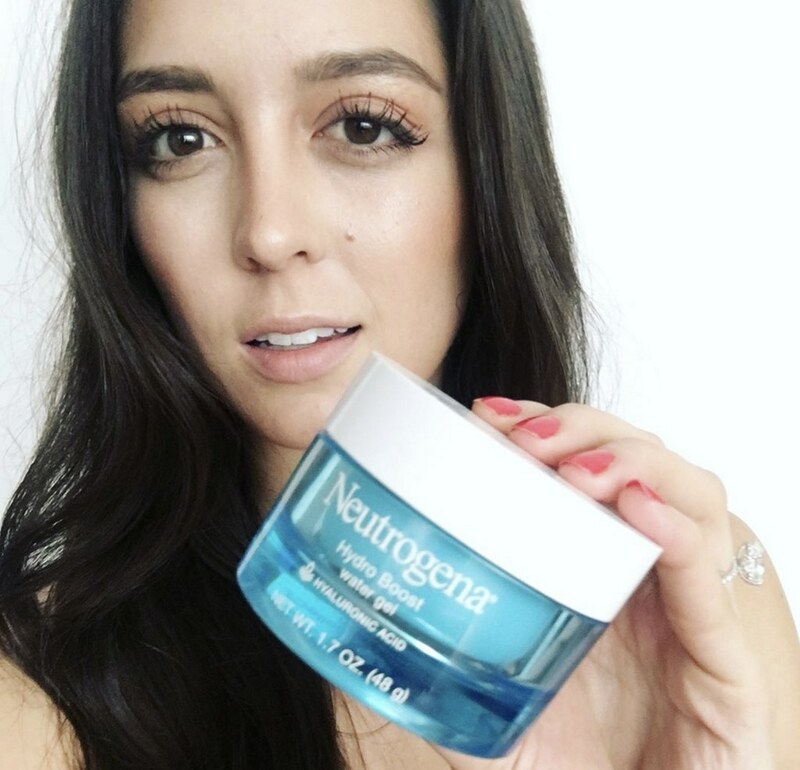 "I've always had the worst skin — breakouts and eczema patches — but I started using this around 25 because I wanted to prevent wrinkles. Since then my skin is so much softer and clearer, plus I've had complete strangers ask me what I use. It blows my mind." "These are my holy saviors. I've struggled with acne for a very long time, and this is the only thing that will keep it at bay. Not only are they acne fighting, but they are also anti aging and pore minimizing. I absolutely recommend them!"